So I am thinking about doing a build for the poorly modified mustang that kurt had in the early days. You know the sonic blue one in the Geffen In Bloom video. I really don't know what this guitar is but I am basically gonna make a mustang with one humbucker in the bridge, a control plate, and no pickguard. Then paint it sonic blue. I don't know what I am gonna do about the bridge. He used some kind of weird hardtail bridge. Anyone know where to find one of these? 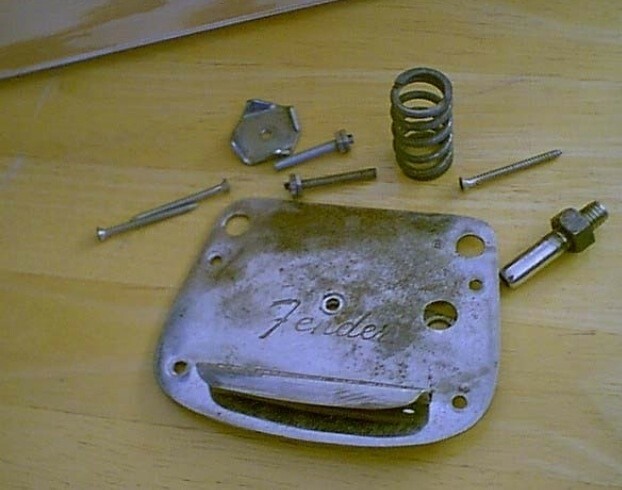 I was thinking about using my mustang/jaguar "Fender" Serviceman vibrato or buy this bridge I found on ebay that looks pretty close to his but smaller. I made a quick mockup with my serviceman vibrato. 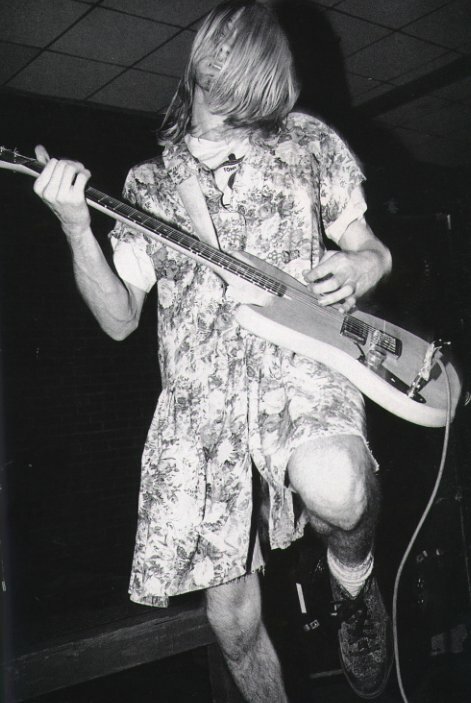 Kurt and his "poorly modified mustang"
I think it's weird to chuck money into a guitar build to make a perfect copy of a cheap guitar that some dude probably only used cos he didn't have the cash for a decent one. I mean if you think it's cool that's the important thing. To me it just looks like a �50 cheapo copy. Well I'm not gonna make an actual copy. Just using it as kind of a base. I love the look of a mustang without a Pickguard. Kind of like that g&l mustang style guitar. Unless anybody has any other ideas? 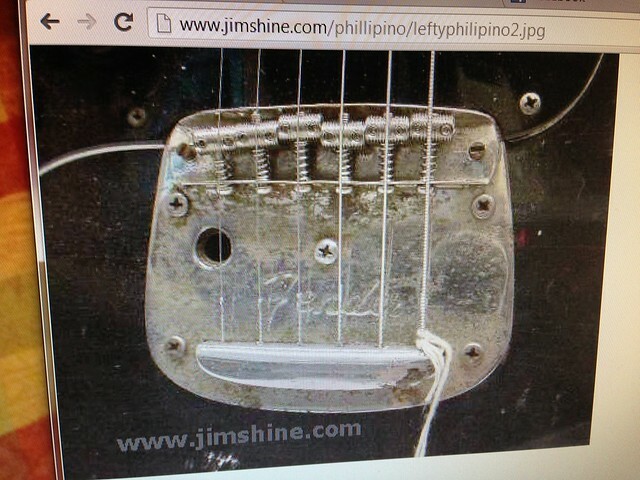 I like the idea of just one bridge humbucker too like the squier musicmaster. If your in with the Kurtz one you need the control plate. Well I don't really have to make it a kurt one. I just got the idea from his because I like the mustang without a pickguard. I wanna just do one humbucker too. What do you guys like the best? Exactly what I am going for but more fender like. Came up with these ideas too. The Blaze It body would be blue not red, too much photoshop work to get it blue and look decent lol. 1 or 6. The half pick guard is a winner. I think 6 might just pip it as it seems to flow just marginally more perfect, but only by a tiny tiny margin. I'd love to see a lp Jr type red mahogany version like that. 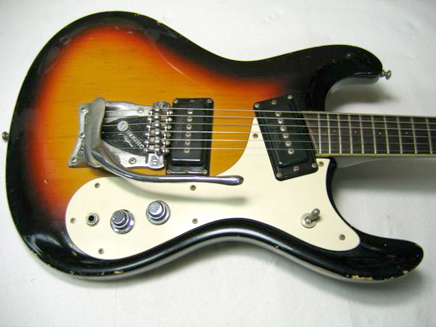 HOWEVER, I'd contemplate a Mosrite/Univox style pickguard for it. That'd look kinda bamf. How about this? Does this look better?